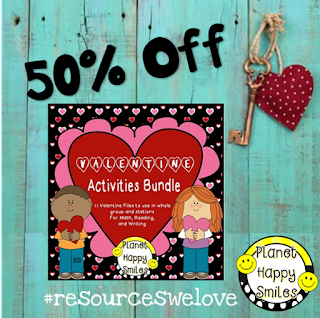 Planet Happy Smiles: #resourceswelove GREAT DEALS! We are giving back BIG this month and we have already given away some great prizes! We have one giveaway going on right now! This is the LOWEST price we will ever offer on these items! Click on any of the pictures to view them in our store. This HUGE bundle is a time saver! 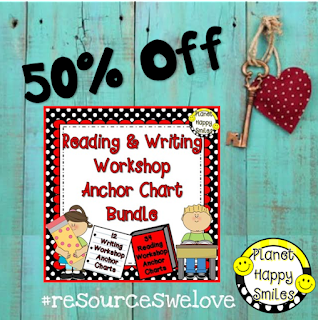 You will get 46 anchor charts in total! We have made all of our charts using Velcro so they can be created with the students! A GIANT bundle of fun for Valentine's Day! The savings is HUGE by buying it in this set than purchasing each one. Our last item is a FREEBIE! We love this one! 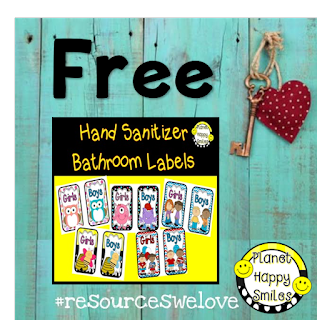 It is perfect for helping with classroom management and keeping those little hands cleaner! #resourceswelove for more items from other sellers! Several great items and some freebies! 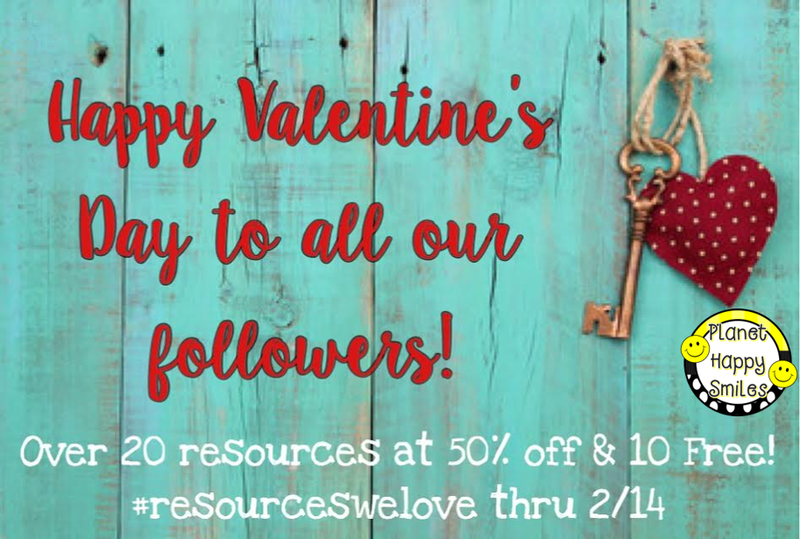 We hope you will keep following us for a ton of great ideas and time saving items! Plus~ we love to have giveaways from time-to-time!